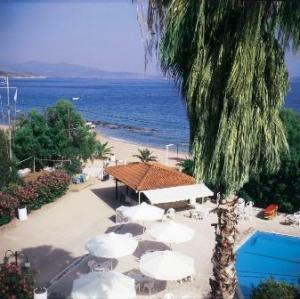 The beautiful Eden Beach Plaka Hotel is located outside Nafplio on Drepanon beach. There are many monuments and places of archeological interest you can visit during your stay in Eden Beach Plaka Hotel and you can also spend your holidays by the sea where the hotel provides sun beds and umbrellas for the sun. The hotel has so many services and facilities that you will never get bored even if you decide to spend your day inside and when you do that you will not wish to leave ever again. 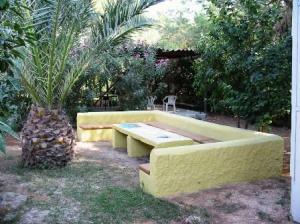 In the hotel’s premises you can find a basketball and a tennis court as well as a board for table tennis. A great area to spend your day is the pool and the pool snack bar. There is also a playroom and a playground for the children. The lounge has a television set where you can relax and spend time with your family and friends while enjoying your coffee. At night you can try some of the cocktails offer at the hotel’s bar and dance to rhythm of the music. But before that you can have a gourmet dinner at the hotel’s restaurant, which is also open for breakfast and lunch. The excellent dishes of various cuisines will satisfy everyone. 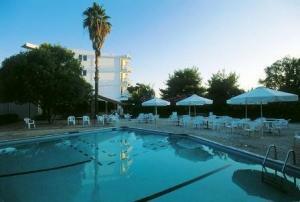 Eden Beach Plaka Hotel offers beautifully decorated rooms, spacious and bright. 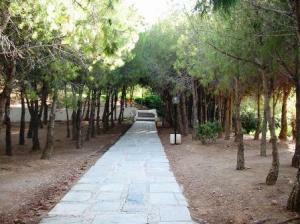 There are about one hundred and forty rooms in the hotel as well as some bungalows for large families. All the rooms feature modern amenities such as air condition, satellite television and fridge. The modern amenities as well as the linen and towels are top quality. From the rooms balconies you can see the hotel’s garden which is a lovely area with flowers and trees, a real breathe of fresh air. 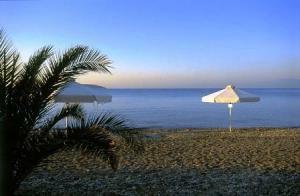 Eden Beach Plaka Hotel and its staff will do everything to have the best holidays.